This web page is part of a three-part tutorial on radar absorbing materials used for RCS reduction. When you get far enough from an antenna so that its radiated field wave can be considered planar. Also called the Fraunhoffer Region. See rule of thumb below. Magnetic radar absorbing material, made of a synthetic rubber material loaded with iron particles. When you are close enough to an antenna so that its radiated field must be considered mathematically spherical rather than planar. Also called the Fresnel Region. See rule of thumb below. 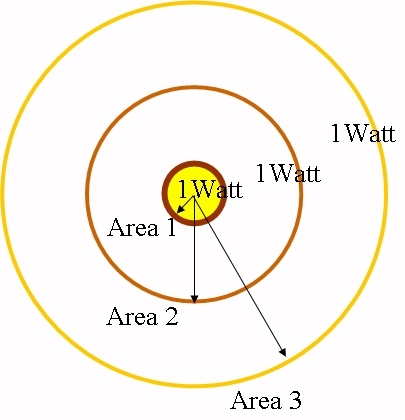 The cross-product of the E-field and H-field, it "points" in the direction that energy is moving. Units are power/area (W/m2). The area of a perfect "mirror" that would give the same radar return as a complex object in the far field. 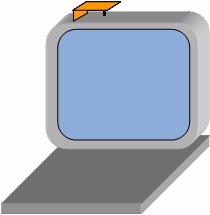 The object that you are trying to reduce the radar cross-section of. Mirror-like reflection, the worst kind when you are trying to reduce RCS. Similar to when an SUV behind your car nails your rearview mirror with its headlights while you are driving at night. Electromagnetic (EM) waves are created by time-varying currents and charges. 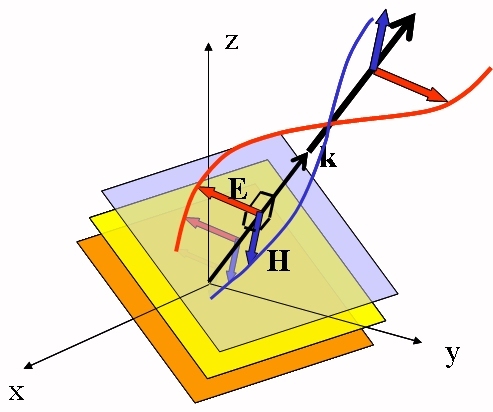 Their interactions with materials obey the boundary conditions of Maxwell's equations. EM waves can be guided by structures (transmission lines) or by free space. An antenna is a material structure that directs EM fields from a source into space, or, by reciprocity, from space to a receiver. The shape and size of the antenna controls the transition from the near field to the far field. 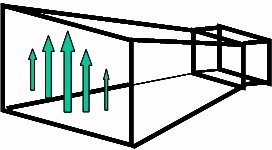 The near field consists of the reactive near field, also known as the quasi-static near field, and the radiating near field also known as the Fresnel zone or Fresnel region. In the quasi-static near field we see fields that strongly resemble the electrostatic fields of a charge dipole for a dipole antenna and the fields of a magnetic dipole for a loop antenna. 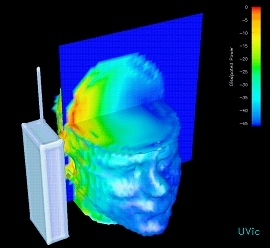 In large antennas the quasi-static field can be seen near edges. 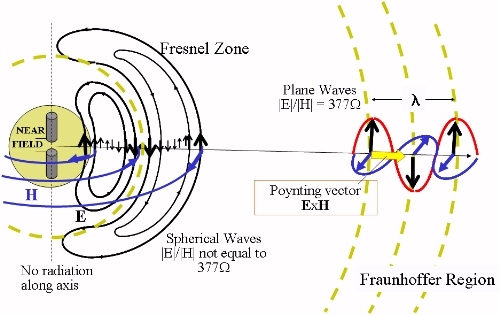 In the Fresnel zone the waves are clearly not plane and may have phase shifts that do not vary linearly with distance from a (fictitious) phase center. From the near field to the far field, EM radiation changes from spherical waves to plane waves. The far-field is sometimes called the Fraunhoffer region. You are in the far-field if your distance from the source is greater than 2d2/ . 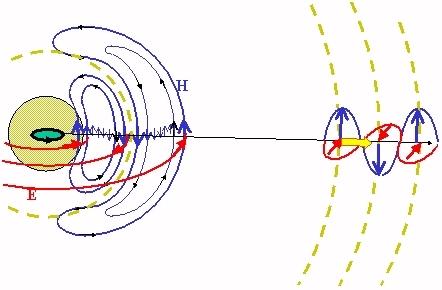 The small loop is the magnetic dipole, an inductive object. 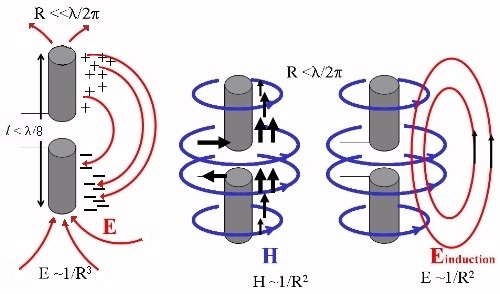 In the far field, E-field and H-field are proportional to 1/radius. The Poynting vector (power/area) is given by E x H. Therefore, power density drops as 1/radius2. 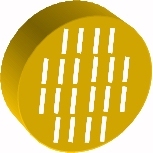 The antenna creates a large (D>> ) area of electromagnetic field, with nearly uniform phase. Below are two pairs of field pattern plots of a 1 x 1 foot aperture, at one GHz and then at five GHz, representing an "electrically small" aperture and an "electrically large" aperture. The left plots are amplitude while the right plots show phase. Note that the 5 GHz signal becomes "far-field" in a shorter distance than the 1 GHz signal (that is, the phase lines become flatter). The large aperture (5 GHz) quickly allows plane wave fronts to form, but there is interference inside the Fresnel zone (the peaks and valleys you see in the amplitude). The small aperture (1 GHz) generates a wave much like a small point radiator, so the wave is spherical near the aperture (there is no clear transition to a Fraunhoffer region). Footnote: the computation that generated the figures beyond the 1x1 foot aperture is credited to PhD student Zhichao Zhang of ASU.